The perfect PA System rental for meetings or presentations up to 250 people. 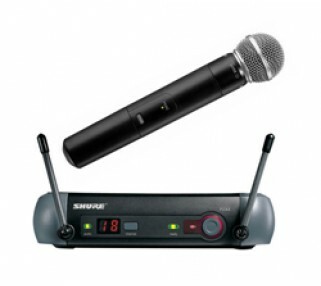 Includes 2 wireless microphones. 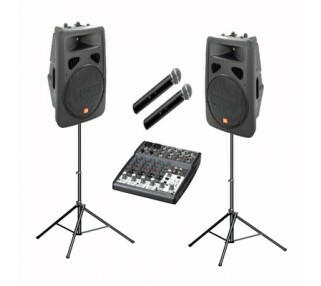 This basic public address or PA system rental includes 2 speakers and 2 microphones, and is ideal for many speaking engagements. One or both microphones are typically used with the presenters, or one is used for audience Q&A. The 2 speakers deliver 400 watts of power each with great voice clarity, and a mixer adjusts the volume of each microphone and can play background music from an iPod, if desired. Note: There are several options for sizes and types of speakers and microphones. 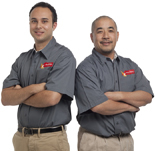 Avista's rental specialists will discuss your event needs and review microphone and speaker options with you. Renting this PA system is easy, and you can either setup and operate yourself or hire an Avista technician for worry-free operation.